In May 2018, the California Alfalfa & Forage Research Foundation awarded the first round of research grants. The California Alfalfa and Forage Research Foundation (Foundation), formed in 2015, is pleased to announce that it has awarded its first round of research grants. In April of this year, the Foundation circulated a request for research grant proposals available to researchers from any California university. Interested parties were asked to submit proposals for consideration that would support research activities that are of vital interest and direct benefit to California alfalfa and forage growers. The California Alfalfa and Forage Association is a 501(c)(3) public benefit corporation funded by voluntary contributions by California alfalfa growers and related industries to advance scientific research in alfalfa and forage crops. Nine proposals were received and reviewed by the Foundation board of directors. After careful consideration, the board chose to select three projects that focus on weed management. “After looking at the proposals, it made sense to us to focus on one area – weeds – which was a determining factor in our reluctant decision not to fund equally deserving projects focusing on other areas. We do not intend to have a “theme” every year, but we will always favor proposals that address issues that growers face statewide,” said Philip Bowles, Bowles Farming and Foundation Chairman. Summary: Seedling alfalfa is especially susceptible to weed interference as interspecific competition can inhibit alfalfa growth and development compromising stand persistence. Poor weed control in seedling alfalfa can influence the size of future weed infestations through contributions to the soil seedbank thereby necessitating additional control measures. The research will evaluate the efficacy and safety of herbicides for the management of weeds in establishing stands. Because alfalfa is grown across a variety of environment within the state, concurrent trials will be conducted in the low desert, the San Joaquin and Sacramento Valleys, and the Intermountain area to generate up-to-date performance data specific to major growing areas. Summary: Weeds are a significant concern in established alfalfa stands because weed infestation can reduce hay yields. Hay quality can also be influenced by weeds, because of palatability, nutrition, or toxicity concerns. Weeds can interfere with the cutting, curing, and baling processes, or they can trigger load rejections (i.e. noxious weed contamination). Local and export dairy markets pay growers a premium for weed free high-quality hay, whereas hay contaminated with weeds will be worth far less per ton. Weed control in alfalfa is imperative to economical production. The objective of the study is to evaluate the efficacy and safety of herbicides for weed management in established alfalfa fields. 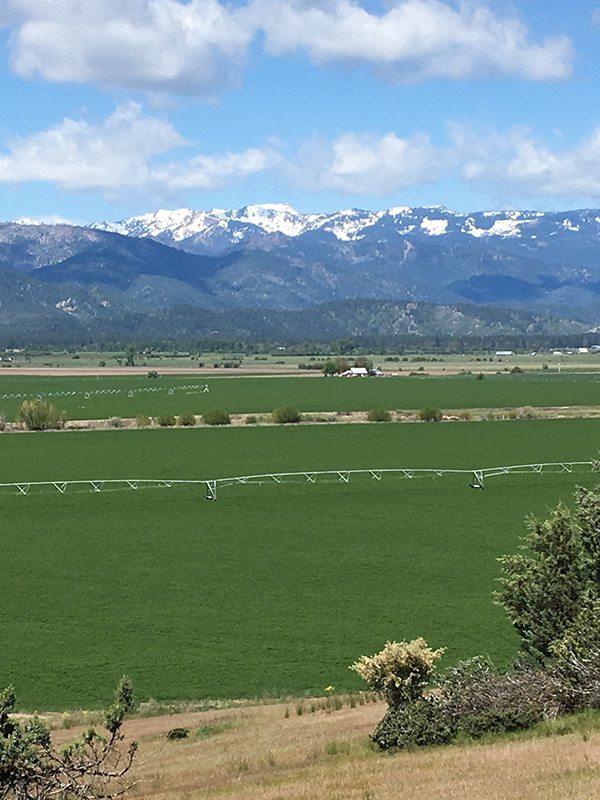 Because alfalfa is grown across a variety of environments within the state, concurrent trials will be conducted in the low desert, the San Joaquin and Sacramento Valleys, and the Intermountain Area to generate up-to-date performance data specific to the major growing regions. Summary: Despite evidence that allowing weeds to germinate, and then controlling them prior to planting alfalfa is effective for reducing weed pressure during stand establishment, this practice is not widely used in the Sacramento Valley. This project will evaluate the use of a sterile seed bed, followed by either mechanical or chemical control, to reduce weed pressure during alfalfa establishment in the region. The cost of implementing both control methods will be quantified to enable the clientele to make informed management decisions on their farms. About California Alfalfa and Forage Research Foundation: In September of 2015, the California Alfalfa & Forage Association formed the California Alfalfa & Forage Research Foundation (CAFRF) as a non-profit 501(c)(3) public benefit corporation. While various companies and public agencies may fund important research, they often do not reflect the interests of farmers or address their needs. The California Alfalfa and Forage Research Foundation is a foundation run BY and FOR alfalfa and forage growers, with a grower board. Donations to the California Alfalfa and Research Foundation are tax deductible.